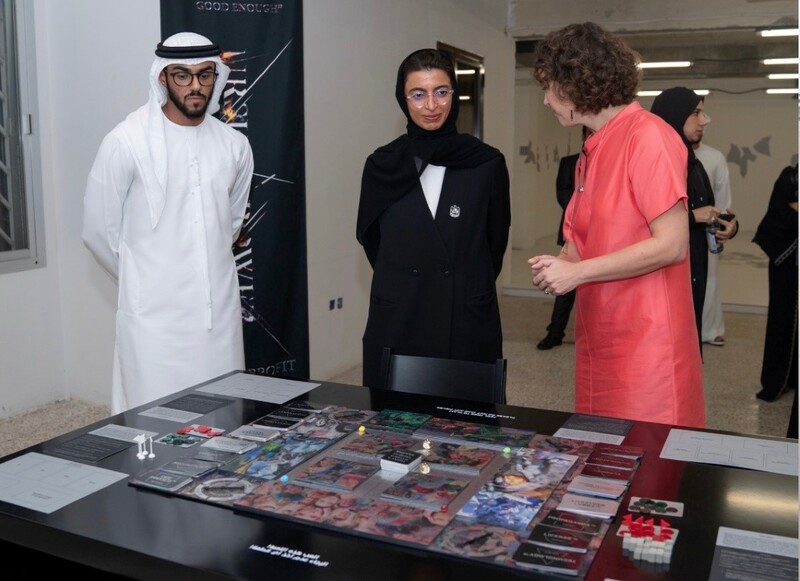 SHARJAH, 10th November, 2018 (WAM) -- Noura bint Mohammed Al Kaabi, Minister of Culture and Knowledge Development, inaugurated the Middle East’s first graphic design Biennial, and the first-of-its-kind in the Middle East and North Africa, MENA, region. Over the course of the next 21 days, the UAE’s fictitious "Ministry of Graphic Design" will introduce visitors to the best and most ground-breaking graphic designs in the Middle East and beyond, examining the discipline’s limits, scope and purpose in the rapidly changing world of the 21st century. The biennial brings together hundreds of designers, collectives, institutions and industry leaders from more than 20 countries for one of the most wide-ranging and ambitious creative events to be undertaken in the city. Organised by graphic design studio and education platform Fikra, it will act as an international platform for creative practitioners in the Middle East to contribute to global design conversation, foster collaboration and explore the role of graphic design in an increasingly complex and culturally fragmented landscape. Al Kaabi said, "We are pleased to announce our strategic partnership with Fikra Graphic Design Biennial, the first of its kind in the Middle East to bring together designers and creators to engage in a constructive dialogue about the future of graphic design. The Biennial is a platform for the creative exchange of experiences and best design practices in a rapidly changing environment. It encourages sustainable development of the skills of designers and professionals to become more competitive in the industry and push for growth and prosperity. The Fikra Graphic Design Biennial is a great addition to the cultural and creative initiatives supported by the Ministry of Culture and Knowledge Development. 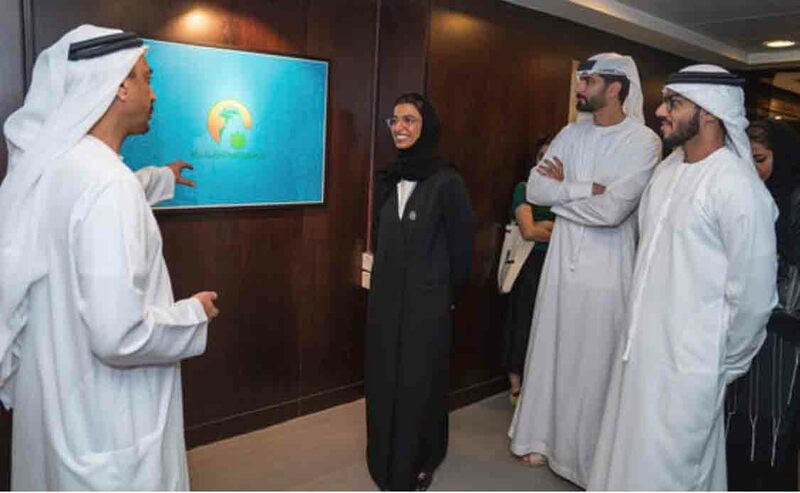 Our efforts will contribute to the economic development in the UAE by encouraging our youth to become entrepreneurs in creative fields." Salem Al-Qassimi, founder, Fikra said, "The biennial comprises exhibitions, performances, workshops, talks, and a conference that collectively showcases an expanded view of the field of graphic design. It will question the very role of the graphic designer. This is perfect especially for the first edition of the biennial, as I would like to think of it as un-defining graphic design – challenging preconceived ideas of the discipline but providing an unexpectedly broad array of graphic design works, concepts and initiatives." Fikra Graphic Design Biennial takes place in an iconic 1970s modernist block that once housed the Bank of Sharjah and is now scheduled for demolition. T.ZED Architects have adapted and repurposed the building to house the Ministry of Graphic Design across multiple floors, preserving many of the old features and remnants of the bank’s design in the process. The Ministry of Graphic Design will be the building’s final occupant, and a consciousness of its history and heritage informs about a number of elements of the event.